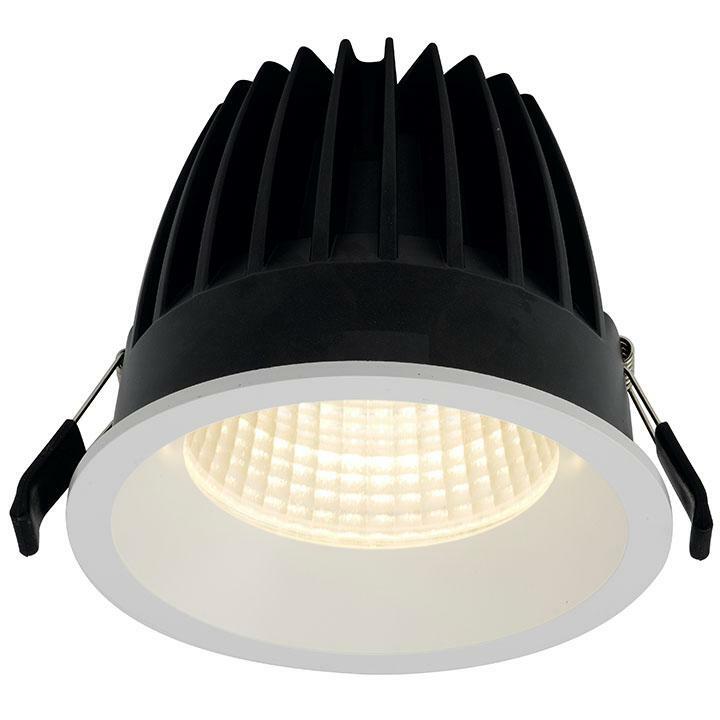 Compact high-performance professional downlight. Circular hole cut out for ease of installation and alignment. IP44 rating as standard. Die-cast aluminium construction powder coated and 30degrees cut off angle. Performance comparable to 2x42W PLC/ 70W HQI. Mirror finished anodized reflector. Anti-glare design to create visual comfort. Remote driver with plug and play connection. 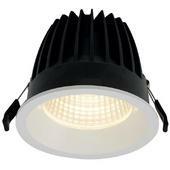 LED lifespan L70 50 000 hours. Dimmable and emergency options.